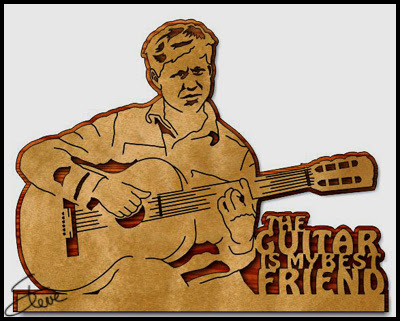 The Guitar is my Best Friend Scroll Saw Pattern. I wanted to take a break from the stickman and dog breed patterns series and do something a bit more advanced. This portrait of a guitar player has a lot of advanced veining. I have not test cut the pattern so "Scroller Beware". There is enough veining to make the project weak in some spots until you get it glued to the backer board. The portrait is over 12 inches wide. 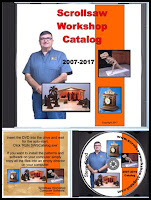 I have seen a lot of DIY dust collection systems for the scroll saw. Some work better than others. This attempt by a YouTuber who goes by the channel name of TightWadReapirs looks pretty efficient. It is important to have a systems that collects the dust from the top and bottom of the saw. This one does that. The build is reasonably inexpensive. The Loc-line will be the most expensive part of the build assuming that you already have a shop-vac. 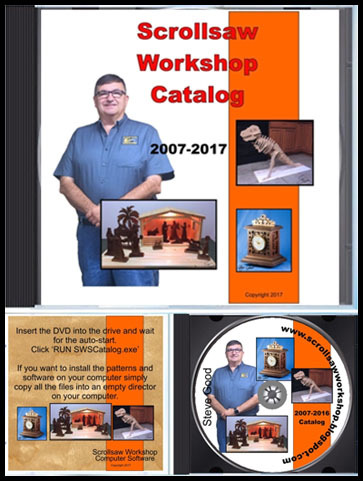 The assembly is straight forward but you will probably need to do some modifications for your model of scroll saw. PVC is almost as useful as duct tape. 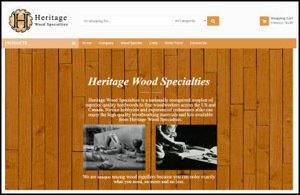 I have used PVC for all types of projects. 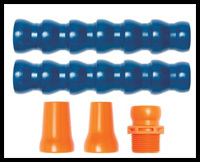 It's cheap, easy to cut and there are lots of different fitting to choose from. It reminds me of the erector set when I was a child. Here is a link to the Loc-Line he uses in this project. You might need to add additional parts and they are sold individually on Amazon. 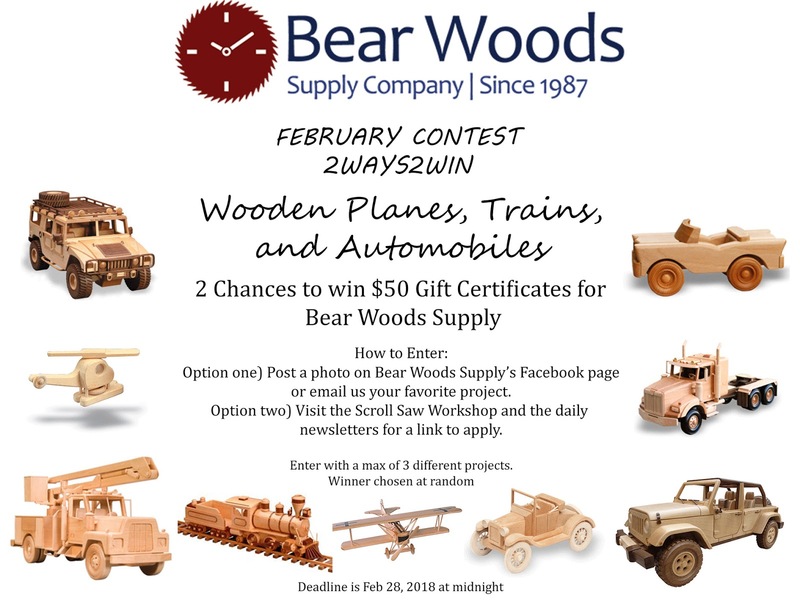 The Bear Woods Sponsored Giveaway has ended. I have drawn the winner for my half of the giveaway. Stephen at Bear Woods will select his winner today and I will announce both $50 gift certificate winners in the next post. Thanks to everyone who entered the giveaway. This Delta 40-694 is one of the best values on the market. 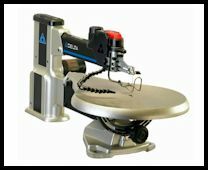 At $399 it is a mid level scroll saw barely above an entry level price.